As with most things, the overall scope of public relations has evolved and the lines are blurred between areas that were once very defined. From community management and social strategy to programming and bot creation, Heather Whaling of Geben Communication has a lot to say about the current state of PR and what it takes to be a successful, growth-minded agency. While it may seem smart to keep as much as possible in-house, putting effort into diverse methods of engagement, one of her biggest pieces of advice is to stick to what you do best. Figure out what things your company is good at and seek to excel at those things. When it comes time to venture into lesser known waters, don’t be afraid to reach out and collaborate with someone who specializes in your weaknesses. Rather than becoming a wellspring of mediocre content, you can serve your customers with excellent material while simultaneously building connections with professionals in fields where you are less familiar. It may seem daunting at first, but loosening the grip on some things can ultimately fortify your place as you become a consistent source of quality. In order to differentiate yourself, Heather’s advice is to be immersed in technology and constantly experimenting. Always make an effort to try new things and innovate. While her initial thought was Michelle Obama, Heather would love to talk to Shonda Rhimes. Not only is she a brilliant woman and writer, but she is actively using her power and position to benefit and empower other women. Jay Baer: Hey, welcome everybody. This is Social Pros. I am Jay Baer, founder of Convince & Convert, joined as always by my man from Austin, Texas, the executive strategist for Salesforce Marketing Cloud, Mr. Adam Brown. Adam, how's it going? Adam Brown: Jay, it's going great. Fantastic as we turn the switch on the post 300 episodes now. Jay Baer: It's crazy 300 episodes. It's so fun to have all of our previous guests come back for a big reunion show. Several different live video shows over the last few days. It's been really gratifying and lots of people saying nice words about the show. In fact, our fan of the week, our listener of the week here on Social Pros for this week is Pippa Rogers. Pippa was saying lots of nice things about the show on Twitter recently. Thank you Pippa for being a listener. We appreciate it. Have another great guest this week on the show. Heather Whaling is a long time friend of mine. She and I have been running around in the same circles in social media for years. She is the founder of Geben Communication which is a terrific integrated communications firm based in Columbus, Ohio doing a lot of great work for interesting clients, a lot of social media, and she's just a really smart person. I really enjoyed our conversation with her. Adam Brown: I really did too, Jay. Heather is brilliant and what she's doing with the agency that she founded. I think I was most impressed with the character which she's creating there with her house rules for her agency and the progressive of the work that they're doing. Jay, you know this as well as I do. The world of PR is changing at such a dramatic rate that even the PR agency of two or three years ago is no longer that, and I think that's one of the things I really learned from Heather and how she's allocating her team, how she's looking for new team members with different skillsets. It's really refreshing whether you're in public relations or just a social pro in general. Jay Baer: People who are in PR professionally, many of them know Heather and they know her name and they know her reputation, because she really is the embodiment of the modern public relations practitioner. 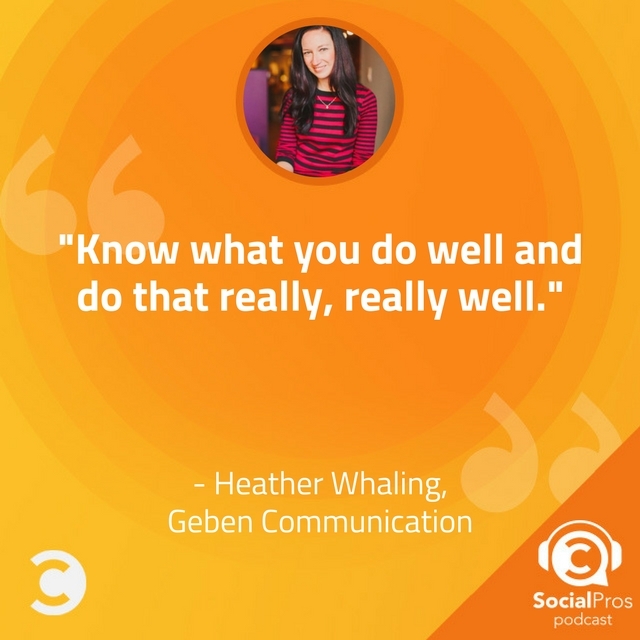 She really, really gets it and you'll understand that after you hear our interview with Heather Whaling in this episode of Social Pros. Before we jump into that I want to remind you that the podcast is brought to you by our friends at Salesforce Marketing Cloud, who have a fantastic ebook I'd like you to download. I think you should do it. Go to bitly/socialbusinessguide. That's bitly/socialbusinessguide. That's all lower case. The Business Leader's Guide to Becoming a Social Business tells you how to assess your current social media team. You got the right people? Are they doing the right things? Shows you how to track missed opportunities. Shows you how to position social for real success inside your enterprise. And shows you how to best analyze the results of social. It's a great book. It's free. It's from Adam and his team at Salesforce Marketing Cloud. That's bitly/socialbusinessguide, all lower case. And of course the show is also brought to you by my team and I at Convince & Convert Consulting where we help the most interesting brands in the world level up their social media content marketing, email marketing, and digital at large. If we can help you get better, come see us at ConvinceAndConvert.com. 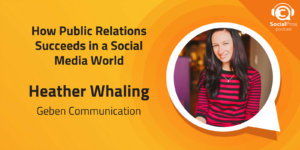 Now please enjoy this episode of Social Pros featuring Heather Whaling from Geben Communications. Heather, welcome to Social Pros. Thanks so much for being here. Tell us a little bit about what you do and how you got here. Heather Whaling: I am founder and president of Geben Communication. We are a communications agency based in Columbus, Ohio with an office in Chicago. We specialize in traditional and digital PR, so media relations, social media, content marketing. All those types of communication activities. Our team is about 22 people. I had worked for other people's agencies for like nine years and then went out on my own and started my own thing. When we began, probably about half of our clients were in the startup and tech space so I've always had this deep interest in technology and emerging trends. We talk about ourselves here as technologists so we apply a level of technology or a layer of technology to all of our communication. Clients are everything from startups and emerging brands all the way up to Fortune 100 retailers, so it really runs the gamut. Jay Baer: How many years have you been doing at Geben? We've been friends for a long time but I don't remember what year you started. Heather Whaling: I started in December of 2009, so we're like eight years old now. Jay Baer: So that wasn't too long after we started Convince & Convert maybe a year after. You have seen a tremendous amount of change in what people expect from a firm like yours and the tools that you use to execute work on behalf of your clients. What's been the hardest part about that transformation? Heather Whaling: Everyday it seems like there's a new piece of technology or a new platform that you should be checking out, so I think the hard part is not getting sidetracked and making sure you're staying focused on the ones that will actually deliver the value for your clients and not just the ones that people happen to be buzzing about at the moment. 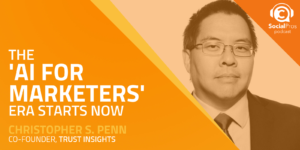 Jay Baer: Would you say you're doing more social media for clients now or less? Heather Whaling: From a revenue standpoint I think we're actually split 50/50. It's exactly half of our business. Jay Baer: Is that actually running people's social media accounts and saying, "Okay, we're going to post to your Facebook page. We're going to run your Instagram, your Twitter, et cetera?" Heather Whaling: Yeah. We do a fair amount of community management so that piece of it where we are actually their person online, and then we've also got some clients where we'll do the social strategy and we'll provide some creative campaign ideas but they're actually running with the day-to-day execution. So it really just depends. Jay Baer: One of the things that we have talked about on this show a lot, Adam and I, is this notion that so much of content now in social has become video. Even Facebook as you know a few weeks ago have said, "Hey, if you're going to make some content, might as well make it video because we like it better." You see videos more and more on Instagram now. Twitter as well. LinkedIn now has video and you see more and more content showing up in video on LinkedIn also. Has that required you to change the kind of people that you have in the firm, or your workflow or your processes? As a public relations professional, and I have been as well. That's how I got started. You sort of come at it from a writing standpoint typically. That's the history of it is communications and who can stitch together great paragraphs, and now it's who can frame a shot, and that seems to be a pretty big shift, yeah? Heather Whaling: Yeah, I would say so. My career actually began, my very first agency that I worked with was a public affairs agency and I worked in political campaigns and did a lot of campaign management, and so I was always shaped by not so much how many paragraphs do we write, but how do we get people to go to the poll on election day? And there's no deadline or no stamp of approval or not quite like election day, so I think that for us has always helped fuel how I view measurement and tactics. It doesn't matter how many media placements you get if you can't get people to actually go to the poll and vote for your candidate. It also forced me to think outside the media relations box that I think a lot of PR people get forced into, so this evolution of PR and evolution of social media into video or into other pieces of technology is a fairly natural extension of that for me. In terms of how we approach that in our agency, I'm also a big believer in know what you do well and do that really, really well, so I do not actually know how to always frame the best shot, but I know how to go find the best videographer who will tell us how to do that and so we'll bring them in as partners. A lot of times I think agencies get in trouble because they try to be a little bit of everything to everyone and instead of doing really, really great work they end up doing lackluster work because they're spread too thin. 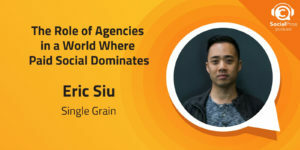 I don't ever want to be that kind of agency. I don't ever want Geben to be that agency, so instead we're real focused on we know what we do and we'll partner with other people if we need to so our clients are getting the best of the best. Jay Baer: How are you handling paid social? It's such a big part of content amplification now it seems, and certainly brands on Facebook. It almost becomes a required circumstance. Obviously Adam and the folks at Salesforce Marketing Cloud have lots of tools and opportunities to help people both with organic and their paid, but are you doing paid social for clients in house or is that an area where you're partnering with other people? Heather Whaling: That we do have in house. We have a paid social specialist. That was one of those pieces that it became almost impossible for us to really do social well without being able to provide the paid recommendations alongside it, so we have a paid social specialist so we're managing a lot of clients' paid social. It's always fun for us when we can send out, here's our monthly recap report of how things did, and we can show that we're driving more revenue than what they're paying us in their monthly retainer. So paid social is something we've gotten really good at from a revenue standpoint especially, but it is definitely a skillset and an expertise that is niche. It's not something that I can have every single one of my community managers really providing recommendations to clients all the time on. 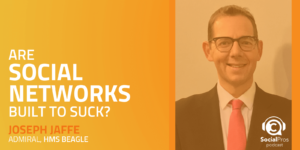 We've got a person who's a specialist and that's their job is to really, really go deep and understanding all the different ways on the different platforms that it works and how we can leverage it for clients. Jay Baer: You mentioned the changing nature of public relations and how some public relations firms have gotten boxed into just doing media relations, which is part of the services but not all the services in theory, and that other firms like yours have been very facile at changing their scope of services and saying, "Well we can also do this and this and this and this." For those that have not done as good a job making that shift, for public relations firms that still have a relatively narrow, offline scope of services, do you think that is a lack of vision, a philosophical problem? Or is it an operational problem? Heather Whaling: It's probably a little bit of both. There are some agencies where they're fine. They want to stay small and they want to have a niche and that's all they want to do and that's okay, but I think if you're an agency that wants to have a growth mindset, you can't have such tunnel vision or have such a siloed approach to what you're doing. So I think that's probably a vision piece of it but to then execute on that vision you have to change operationally. You have to hire a different type of person. You have to incorporate things within your agency. We have, we call it Geben Grows but each Wednesday we have a team meeting and those meetings have a different focus or a different theme, and once a month it's a technologist meeting and so we have a little group of people internally. Almost like a little technologist committee, and it's their job to figure out, what is going on? What are the different trends and platforms? And what happened at CES or what's going to happen at South By or whatever that our team needs to be aware of, and then we're doing ongoing professional development and training with our whole team whether it's our media relations specialists or our office manager or our paid social specialist. We're getting everybody up to speed and aware of technology and how trends in technology are changing the way people are communicating and changing the way business gets done, but that is an operational thing that if you're a traditional, traditional old school PR agency is going to be a big shift for you. Jay Baer: Yeah, it's a big sandwich to eat all at once, and so the better approach in my estimation, and we've worked with a lot of agencies at Convince & Convert to help them make this transition is, it's one bite at a time, right? It's a month at a time. It's a quarter at a time. It's a year at a time. You can't just flip the switch and wake up and say, "Okay, today we're all digital." It just doesn't really work like that. Last question from me on this segment, and then Adam's going to jump in here. I did some work with a couple of companies recently and one of the theses of this research was that influencers are starting to act more like journalists and journalists are starting to act more like influencers. 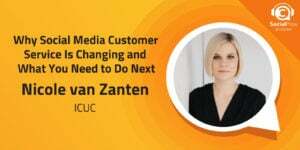 Do you believe that's true, and is it important in your line of work and really for all people who are social pros to be thinking of media, "the press," as one pool of people and "online influencers" as a different pool of people? Or is that a difference that no longer is worthy of making a distinction? Heather Whaling: I think it depends on the type of campaign that you're doing and the type of meeting that you're talking about. I think at a national level, the national media still has their editorial standards. They want to come off as being seen as impartial and not being bought and paid for, so if you're working with a reporter at the New York Times or Washington Post or Wall Street Journal, that relationship is very different than if you're working with your local influencer or an influencer in a vertical or a niche market. The trade media is a little bit different I think, and in some cases those people are really straddling that line between influencer and media, so I think you have to get really granular and understand who the person is that you're working with and how do they approach their work? What is the mindset that they're bringing to the table? And if you can understand the mindset that they are bringing to the table then you can figure out how to best work with them. Adam Brown: Heather, it's great that Jay asked that question because that is so similar to the first question that I wanted to ask you. I think when Jay and I, I spent eight years in a large PR agency. I know Jay spent some time. This industry has changed so much, and when I was in the industry there was a lot of focus certainly on, as you said, the traditional journalist. We had begun to see the increase of the value of the influencer. An influencer that perhaps may not be a journalist. Then as you said, the subset of journalists. Trade versus consumer and things like that. I'm curious how important the traditional journalist is to the work that you're doing at Geben Communications, and just the industry of PR today. How are you slicing your actions on focusing on traditional journalism or those influencers, or actually now in many cases going directly to your target audience with your communications and marketing and social activities? Heather Whaling: The agency that I was at before I started this company, I had a boss who talked about the thud factor, and this was still when old school you were printing out your media clips and putting them in a three-ring binder, and there was always this pressure around you need to be able to walk into a client meeting, put the binder on the table, and have the thud factor. And that was the measure of success. How many media placements did you get? Heather Whaling: Yes. Ad equivalency. That's like, horrible. So thankfully we have hopefully all, almost all of us at least, evolved beyond that but I do think that traditional journalists still play a huge role in the communication, particularly in the business. If you're trying to raise your profile from a business standpoint. If you're a startup trying to get funding. If you're trying to break into a new market. The media is still really, really relevant. What has changed I think is how we're measuring the effectiveness of those media placements. It's not about quantity. It's about quality. Is it driving traffic to the website? What is the customer journey on the website? Are they clicking on the Contact Us page? Are they downloading the whitepaper? What does that conversion look like? So we'll work with clients to understand. Let's look at all the media placements that we got. What happened from those media placements? Where were the ones that were creating the most conversions happening? Was it in national? Was it in trade? Was it in print? Was it in online? If we can understand what the profile is of the media that is best converting then we know, okay, let's double down on that. Let's go get more of that type of media placement. Media relations is still really, really important but I think you have to let the data guide you so that you're not just spraying and praying but actually generating high quality media placements that will move the needle on the business goal specifically. Adam Brown: You mentioned that 50% of your revenues at Geben Communications are coming from social versus more the traditional PR types of activities. I'm curious of that social piece how important the paid social activities are, because I think we've begun to see in the industry so much of a media mix is going to those paid social, and sometimes it's coming from the public relations agency or the communications agency assisting, and oftentimes it's coming from the media buying agency. Like the large conglomerates that are typically run by the advertising agencies, or just the advertising agencies themselves. How important is paid social, Heather, to public relations right now? And as you look at a program or a campaign, how are you going through and saying, "Okay, we're going to spend this amount of our budget on actually execution of more organic or viral types of activities, and we're going to spend this amount of action on actually paid social, so media buys." If you go back and look in the world of PR, that would have been blasphemy 20 years ago so I'm curious how that's evolved and now become an integral part of your offering. Heather Whaling: It's funny. I call us a PR agency. We are, but every time I say that we're a PR agency I sort of grimace as I'm saying it because I also realize it's limiting. We're more than a PR agency because especially on our paid social campaigns, we're functioning much more like advertisers or marketers in the more traditional sense, so focused on paid social to generate leads. Paid social to generate revenue. And those are things that even now most PR agencies are not really talking about in a meaningful way, but that's how we're judged. We have revenue goals every month that we have to hit, and that's not a traditional PR activity at all. I don't know the exact breakdown from the social side of how much of our work is focused on paid versus organic. A lot of it ends up merging together. We've got some clients where we're managing their paid and their organic. We've got other clients where we're managing just their organic but they have either in house or another agency doing their paid. So other than a small nonprofit that we're working with, I don't know there are any clients that we're working on where we are leading their organic where there isn't also paid alongside it in some form or fashion. Adam Brown: You mentioned that in your background, you came from more, and I'm using the PR term here, precisely, and doing public policy and public affairs types of activities. I'm curious your perception Heather on how brands today are using social for public policy issues and crisis communications. Oftentimes considered those areas of "traditional PR," again in quote marks, without fail. Are brands doing a better job of issues of crisis communications with PR, or is that still a big growth area? Heather Whaling: I think it's a little bit of a crap shoot. I think there are some brands that are doing well with it. I think there are other brands that have not taken the time to update their crisis plan so they've got their crisis plan that lives in the corporate PR department and it's a very corporate PR driven crisis plan, and they haven't updated it with the social scenarios. And so then they get caught off guard and aren't quite sure how to respond. We have a client that we worked with. We did a crisis plan for them and it was divided up into four levels of crisis or issues management, and so at the most basic level, some stuff can just be managed by the community manager. It could just be a quick response. It doesn't need to get escalated, but I think it goes both ways. The person who's doing the community management also needs to understand how to spot a potential crisis and when to alert for corporate communications or the crisis team, and then on the flip side the communications team needs to understand how to leverage social media to help mitigate some of those situations, so I actually think there's room to grow on the social side and the PR side. Adam Brown: As your team, and you said you have a team of over 22 people there at Geben Communications, as they begin to craft the again, more traditional types of communications activities. Whether they're writing a speech for an executive or bullet points or a media plan or a whitepaper or something like that, even especially in technology with whitepapers. Are they changing the way that they're writing this content knowing that it's going to be extracted and distilled and communicated and discussed in social media? I think we saw a trend towards speech writers when we began to see the 24 hour news cycle and writing speeches that made sure they had lots and lots of sound bites. Are we seeing the next evolution of in this case speech writing where we're writing something that we know is going to have to be even more snippet-ized for social digestion and discussion? Heather Whaling: Yeah, especially if you look at the event space or event planning space, event production space. There has to be a big focus on, what is the social moment coming out of this? One of my favorite sound bites is the Dropbox. When they launched Dropbox their little sound bite was, "Sync is the new save." And so I think as you create that, you need that quick sound bite also so that people can resonate and that spreads, but then there's also, what's the social moment? And that has to then also include a visual, so it's not just what are the words that are coming out of someone's mouth but what is the visual experience that you're creating so people can get the content and post it on Instagram or Facebook or wherever they're posting their content. It has to include a social component as well. Adam Brown: It's amazing how all this is changing. It truly is. I have one other interesting thing I saw on your website, and that was your house rules and I thought it was really meaningful and it really hit me. I'm lucky to work at Salesforce with a CEO and founder Marc Benioff that really adheres to so many of your house rules. We don't necessarily call them that. It's our Ohana culture here at Salesforce, but I was really surprised and one of the things I thought about when I read your house rules was something that just happened last week at Davos. Marc Benioff our founder was at Davos, and he had asked a question of a lot of the executives and politicians in the room and it was this question, "What is the most important to you? Is it trust or is it growth? Because if anything trumps trust, then you are in trouble." I thought that was a really meaningful statement that he made and very consistent with how Marc approaches business. As I read your house rules I had the same type of feeling, and I would love for you to explain the house rules and which of them are most meaningful to you. I'm sure they all are because you probably crafted them with help from your team. Heather Whaling: The house rules are our version of mission, vision, values. It is the guiding philosophies that shape how we approach our work, how we approach personnel decisions, how we approach what partnerships we get involved in, so they're really the foundation of how we do what we do here at Geben. They came out of things that we were informally saying anyway, and then as we continued to grow I realized we needed to really formalize it a little bit. The culture here at Geben is something that's really, really important to me and so as we continue to grow I always say, we'll keep growing as long as the essence of Geben remains intact, and that essence of Geben is really crystallized in the house rules. There are fun things like no jerks allowed, and bring on the crazy. Those are probably my two favorite ones. It used to be bring on the crazy. Now we've evolved that into embrace the crazy. We found out in PR it's sort of crazy all the time here, and our clients, we do a lot of work with startups. We do a lot of work with fast-moving brands, especially in the social side, so things are just crazy and we always want to be that partner for our client who remains calm, cool, collected, who rises to the occasion and doesn't crash under the pressure. So that embrace the crazy one is one of my favorites. No jerks allowed is a big one. We're very choosy about the clients that we say yes to. We say no to probably at least a project or two a week because either the person's not a right fit, the product's not a right fit, we think they have a bad product and we just don't want to be involved with it. But we want to do work that matters with people we like everyday, so internally and externally. We spend a lot of time here. We spend a lot of time together, so we should enjoy the people that we're spending our time with. Another one that is meaningful to me is this idea of doing well by doing good. The name Geben in German means "to give." When I was naming the company I wanted something that related to me, but I didn't want it to be my name. My family is German. I'm a big believer in the power of nonprofits in the community, and we do a lot of work here around that so everybody in the company gets 30 hours of time they can use pro bono to work on whatever they want to work on. We do quarterly service projects. We've got people here who are on a number of boards and committees, and so that idea of giving back is important. I have a four and a half year old at home and I tell him all the time, "If you have the ability to help then you have a responsibility to help," and that applies at home as well as here at the office. Related to that, another one that I love is partnering and connecting is our competitive edge. We help facilitate a lot of connections and introductions and partnerships for clients, whether it's a for profit wanting to get involved in a nonprofit, or if it's a startup looking to get an introduction to an investor or to a bigger brand. We can help make a lot of those introductions for them and we just do it as a way to be a good partner. I know there are some agencies that see networking as a service and it's something that they charge for. I'm not really a big believer in charging for introductions. I think it's better just to ... Don't hoard your Rolodex I guess. Make the connection, make the introduction, and that'll come back. It'll help you, but I think it's something that helps really differentiate us from other agencies that our clients are working with. Adam Brown: Is this something that you created at the onset of creating Geben Communications? Have they evolved over the years? Heather Whaling: There's a ton of them and they've been in place probably at least the last five years. The company's only eight years old. Like partnering and connecting, do well by doing good. Those were all things that we were saying informally to each other anyway, and so then it was a matter of let's put pen to paper and they're hanging in our office right when you walk in so they're very official and front and center. I didn't want to have mission, vision, values that you hear when you get onboarded and then are stuffed in a drawer somewhere that nobody ever looks at in a handbook. I wanted them to be things that really were living and breathing and guiding how we work, and so we've had those ten and they've not really evolved. That is who we are and how we approach our work. Adam Brown: I love that. I think it says so much for you as a leader and creator of the organization, and obviously for the team that you've assembled. To that point I had one last question I wanted to ask before handing it back over to Jay, because it sounds like Geben Communications is one heck of a great place to work and I'm curious. As you bring in new employees and new team members to Geben, do you find yourself today looking for people that have a more traditional PR background? Perhaps they even majored in public relations at university? Or are you looking for people with different types of skillset? Jay and I both work with our alma maters and I think the entire PR industry right now is trying to figure out, what does someone who majors in public relations do with that type of diploma? Is going into an agency like yours a great place for that, or are you looking for people again, with a lot of different varieties of experiences? Heather Whaling: If I look at what our current staff makeup is now, most of them come out of a PR program. They were a PR or a communications major. We've got some who are marketing majors. I think I have a couple business majors maybe, but for the most part it's still that PR piece. The interesting part though is we have really honed in on students who have been involved in PRSA. Students who have been involved in maybe the technology or the startup community at their college. Kids who had more involvement not just in their PR classes but went and found that really interesting internship, or maybe they interned at a startup. So at the entry level piece, coming out of a PR program is not enough because most PR programs have not updated the curriculum to actually teach you what you're going to need to be successful in our environment, so we need to see that you've done more and gone above and beyond. As we look at more of our senior-ish level talent, so more people who are managing the accounts, we've got some who have come out of a more traditional background. We just hired somebody who actually starts later this week and his background's completely different. He comes more out of actually a finance and project management world so that'll be a little bit of an experiment for us, but I think his skillset applies so perfectly to what we do that it should be a relatively easy transition. We have one person who came out of academia. She was a professor and she was an amazing writer and really creative. So I think there are definitely ways and openings for people who don't have that "traditional" PR background to ease into or to get themselves into the agency world. From a college standpoint though I really, really wish the colleges and universities would update their curriculum. Jay Baer: Yeah. You hope that's going to happen eventually, right? And I think it is happening. It just takes time. 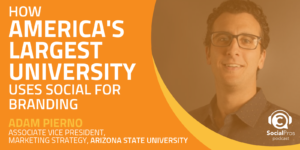 We do some work with higher ed, and they understand that this curriculum has to evolve but the curriculum process, it's not like what we do in business where you can say, "Hey, let's just change our online course," and we have it changed by Thursday. There's just lots of processes that they have to go through that prevents them from doing it maybe as quickly in responsiveness there as we would like it to occur. Heather, you have been involved personally in social media for a long time. I think that's maybe where we first met was in the social medias. I have a couple questions for you. If you could only use one social network yourself and delete everything else from your phone, what would you use? Heather Whaling: I love Twitter. I'm still a big Twitter fan. It's my favorite. I could take or leave Facebook. Instagram is fun because I like photos, but I love Twitter. Jay Baer: Spoken like a true public relations professional I would say. Heather Whaling: It's my favorite. Jay Baer: I'm glad you mentioned that. I want you to explain your Twitter handle, which is not Heather Whaling. It's prtini, T-I-N-I. Always has been. I want you to tell that story. Heather Whaling: I was working for an agency in Orlando around when social media got to be a thing, and so they said, "What is Facebook and Twitter and why are clients asking us about it?" And apparently I was the geekiest person in the office because they gave me a lot of leeway and told me to go figure this out and, how do we talk about it at the agency? So as any naturally curious person would do, I started a blog and a Twitter account, but I had a hard time figuring out, what should it be? Should it be my name? Should it be something else? So I went to happy hour as anyone would do, and on a napkin was brainstorming out different ideas and came up with prtini, and the Twitter handle was available and the URL was available and so I grabbed it, and then it kind of stuck. I had thought about maybe I should change it to my actual name, but it's kind of fun. It's something a little different and so I kept it. Jay Baer: It's nice and short. It's easy to remember. But it's funny. Some people have done that and then changed back. Peter Shankman who was on our 300th episode anniversary show recently. He was originally @skydiver. Heather Whaling: Skydiver, that's right. Jay Baer: For a long, long time because that's his vocation. He's a skydiving aficionado. Likes to throw himself out of aircraft, and so he was @skydiver for years and years and years and then finally decided to change to @petershankman just to avoid confusion, but I am proud of you Heather for keeping it. Like, let's just go with it. Jay Baer: Let's make it happen. Adam, I know you wanted to ask a question about setting up new client accounts? Adam Brown: I did. I did. Heather, I'm going to put you on the spot here. Heather Whaling: Okay. I'm ready. Adam Brown: Because I know one of the big things that you guys do there at Geben is doing media strategy and putting together a program. Let's play pretend for the next 45 seconds and let's say that I'm head of communications or marketing. I'm CMO of a new consumer product and I'm coming to your for advice. I've got a million dollars in marketing communications budget. So my question for you is, how would you allocate that? If you have three or four pieces of the pie. One for social, one for traditional advertising, one for PR. How would you slice that up? And especially with the social piece, organic and social? And then the followup would be, how would that change if I had asked you the same question five years ago? Heather Whaling: If you had asked me five years ago I would say invest heavily in PR and then do maintenance stuff on some of the other things. So dabble in it but you don't have to really focus on it. And I think now it would be much more balanced. I think you still need to have the PR part, I think especially if it's a consumer product. I think people underestimate the time needed to develop a really good, solid consumer PR campaign. It takes a lot longer sometimes than some of the B2B work that we do, so you're still going to have to invest pretty heavily on the PR side but I would balance that out. I wouldn't overindex on the PR part, and then I would do really creative experiential pieces. I don't think that was one of the categories you gave but I'm going to insert it anyway. Adam Brown: I like that. Heather Whaling: I there's a lot of value in experiential marketing, and if you can do it right you can leverage it to generate media relations coverage and to create really good social content that you can use over a period of time, so I think you can get a lot of bang for your buck from the experiential side. So I would add that into your matrix or your mix, and then certainly making sure you've got the paid piece set up and the organic part. What I would say on the organic part, there has to be an investment in the creator for the content. Five years ago you could post a bunch of text-based content and it was fine. Now if you do a bunch of text-based content and that's it, nobody's going to pay attention. So making sure that you're allocating enough of the budget for video or really good graphic design. The other piece that I would say is thinking about how can you be outside the box? What's a new piece of technology that you could add to that? So we worked with clients last year. We created an Alexa skill for a client and we created a bot within the Facebook Messenger for a client. Not things that you would typically think would come out of a PR agency per se, but both were for consumer-oriented products or entities and made sense for what the client's goals and objectives were, so that's the other piece that I would say. I would add experiential and I would add some kind of interesting technology play to what you're doing. Adam Brown: The idea that you created an Alexa bot I think just says something significant about Geben Communications and your experience. My last question has to do with that. How the heck did you get here? You mentioned that you had worked in Orlando and you'd worked for a PR agency. You've done some public affairs, public policy type of stuff. How did you get to this point right here where you're leading an organization that is doing so many different things that to typecast it as those two letters would be a great disservice? Heather Whaling: I am a little geeky. I will admit to that. So getting in on social media early on I think was really, really helpful certainly. At that time, when I started the company, and Jay I'm sure remembers this, everybody was a social media consultant then. Everybody who understood Facebook or Twitter would hang their shingle outside and say, "I'm a social media consultant." Adam Brown: Or a guru. Heather Whaling: Yeah, exactly. "I'm a social media guru." Even worse. I did not do that, so I was always really true to the PR part. I helped our clients, or my clients. At the time it was just me. It was all about PR and social media together, and I think being able to do that early on really created something that was a little bit different and I think had more lasting power, so it wasn't just, "Help us figure out Facebook and Twitter." It was deeper than that. It was more, "We have a business problem to solve. How do we solve that?" So I think that's one piece of it. I think the other part is this focus on innovation. One of our house rules is innovate best practices, and that goes along that lines of we want to be technologists, not just PR people. So whether it's thinking about how do we create a bot or a skill, and running with it and doing it for a client. We just launched a new insight service so I think we're early on from a PR agency standpoint thinking about insights and analytics and data visualization. Certainly that's something that a lot of other sectors have been focused on but from a PR standpoint, PR people are sitting on so much data and they just don't know what to do with it, and so for us to have launched that as a standalone service I think is something that has helped continue to differentiate us. We're always looking at, what are growth opportunities? What are problems our clients are trying to solve and how do we solve them? Whether it fits in that PR box or if it requires us to incorporate a different type of technology or a different type of service. That we want to continue to be innovating ourselves and who we are and what we're doing here as much as we want to then be able to help our clients innovate how they approach communication. Jay Baer: One of the things I always find challenging with that though Heather is making sure that customers know all the things that you can do. As you add capabilities into the shop, your current clients or even the marketplace in general thinks of you as really good at X, Y, and Z and then you're like, "Yeah, but now we can do A, B, C, D, and E as well." I always find that especially in an agency scenario, that's a challenge. To make sure that the market understands that full breadth of your capabilities. Heather Whaling: Yeah. We did our very first client survey last year. We hired an outside company to survey our clients. What do they think about us? What are we doing well? What are growth areas for us? Where could we be improving? It was really, really telling. Thankfully our clients like us, which was good, but it was interesting through that survey that it validated what you were saying. That the clients who were working with us from a PR standpoint, a lot of them didn't even know that we offered social services. On the flip side, the ones that were doing our community management had no idea that we could also write bylines for them or drive media coverage for them, and so that's something over the past year we've been really intentional about. So when we're working with new clients, working in making sure that there's that general capabilities overview. As we've launched this new insights service one of our goals is in Q1 to do insights presentations specifically with 15 of our existing clients. I think anytime you launch a new product or a service you're focused on customer acquisition. How do we get the new customer? Sometimes it might be even easier just to focus on your existing customer base, and how do you let them know that you have this offering? But that requires you to actually take the time to tell them, so instead of just assuming we're going out and setting up meetings with them and making sure that we don't forget to tell them what we're doing. Jay Baer: It's funny, and actually even in the software business. You look at a company like Salesforce. Has the same problem but on the software side as opposed to the services side. Salesforce and Salesforce Marketing Cloud does a lot more than some individual customers may understand, and so Adam and his team have a similar challenge. It's kind of interesting like that. Heather Whaling: It's reassuring to know that no matter what size the company it's still a similar problem. Jay Baer: We want to ask you the two questions we've asked every single one of our 300+ guests on the Social Pros podcast. First question is, what one tip would you give somebody who's looking to become a social pro? Heather Whaling: I would say be a technologist. Immerse yourself in technology and data and try new things and experiment and innovate on yourself. Don't be afraid to test new things. That's the only way you're really going to be able to differentiate yourself. Jay Baer: I love it. Last question for Heather Whaling, founder of Geben Communications in Columbus, Chicago, and all coast to coast. The middle coast, as we say here. If you could do a Skype call with any living person, who would it be and why? Heather Whaling: Oh gosh. I was thinking about this. I think I would say Shonda Rhimes. My initial answer was going to be Michelle Obama but I feel like that's a little obvious, but Shonda Rhimes is my next favorite. Shonda Rhimes wrote a book called The Year of Yes that I think it was just really impactful for me and I love the book. For people who don't know, she's the person behind Private Practice, Grey's Anatomy, Scandal, How to Get Away with Murder. She just signed this huge deal with Netflix. But I also love that she uses ... She is the most successful, powerful woman on behind television right now, but she is also on the board of Planned Parenthood nationally. There was a really great article I think in The Hollywood Reporter a couple weeks ago about how she leveraged her power to help the actress who plays Meredith Grey on Grey's Anatomy get $20 million so she became the highest paid actress, so what I love about Shonda Rhimes is not just that she's brilliant and amazing but that she's leveraging her power to empower other women, so I would love to talk to her. Jay Baer: You're a big deal. You could make that happen. You know people. Heather Whaling: Oh my gosh, if somebody could figure out how to make that happen that would be amazing. Jay Baer: You could totally do that. Go put an intern on that. You could make that happen. Heather Whaling: If Shonda's listening, I'm prtini on Twitter and she can feel free to tweet me. Let's make it happen. Adam Brown: Yeah everybody, @prtini. Jay Baer: Thank you so much. For links to all of Heather's social media profiles, no just prtini on Twitter, links to Geben Communications [inaudible 00:41:48] new insights product, full transcript of this episode and 300+ other hours of content from the world's best social media professionals, go to SocialPros.com. You'll find it all there. Heather, thanks so much for being here. I really appreciate it. Congrats on the office expansion too. I forgot to ask you about that. You guys are knocking down walls and getting bigger and all that. Heather Whaling: We are. Thank you so much. Jay Baer: I want to see the hardhat photo. Heather Whaling: Yes. We'll work on that. Jay Baer: On behalf of Adam Brown and our friends at Salesforce Marketing Cloud I am Jay Baer, founder of Convince & Convert. Delighted to have you join us. We will be back next week with another exciting episode of your favorite podcast. This is Social Pros.